It's no secret that Fortnite has been a massive hit. The game has attracted a massive audience, sparked the creation of multiple competitive communities, and become one of the most-streamed games on Twitch. The title has even eclipsed the success of PUBG, the former king of the Battle Royale genre. Frankly, it isn't hard to see why this is the case; Fortnite is widely considered one of the most polished titles on the market, and it receives regular, free content updates that keep players engaged. 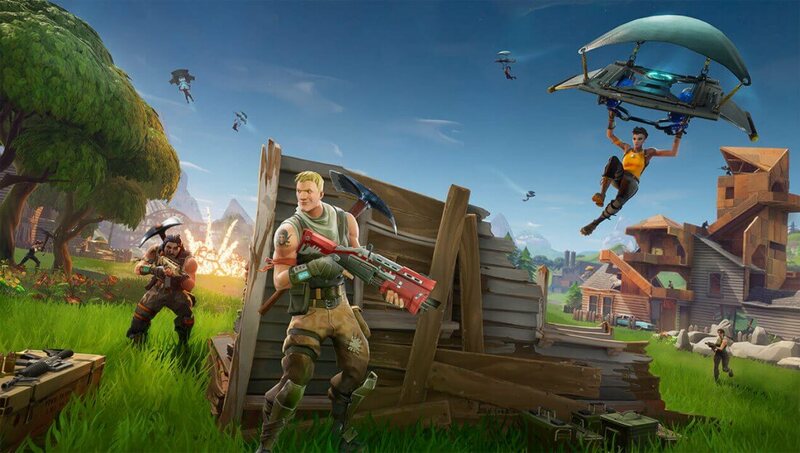 Fortnite has performed so well for developer Epic that it enabled the company to give back to its Unreal Engine asset developers. It accomplished this by dropping its split of the revenue earned from asset sales to a mere 12 percent, down from the industry standard of 30 percent. Fortnite's reach has also expanded to multiple platforms, with the game arriving on the Nintendo Switch and even iOS devices. Furthermore, Epic recently announced its plans to bring the title to Android this summer, leading many to believe the game would release on the Google Play Store. However, a report from XDA suggests that may not be the case after all. Google takes a healthy, 30 percent bite of the revenue earned from titles distributed on its platform. 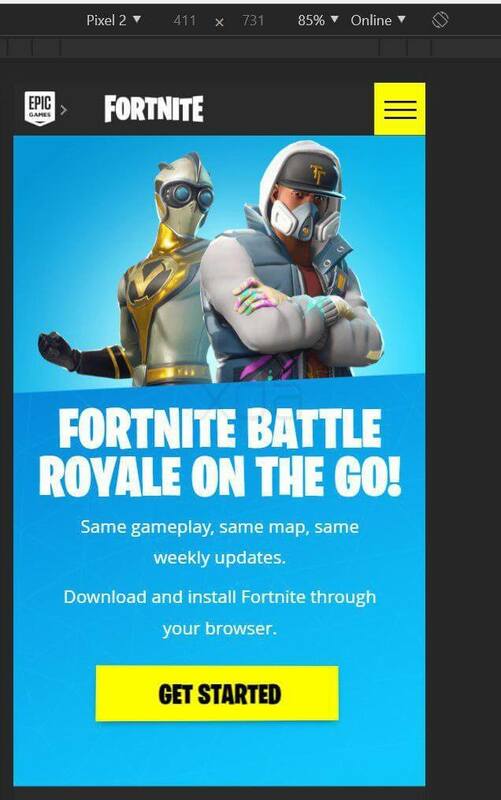 By searching through the source code of the Fortnite website, XDA was able to dig up what appears to be Android-only download instructions that would circumvent the Google Play Store (and Google's revenue share) entirely. 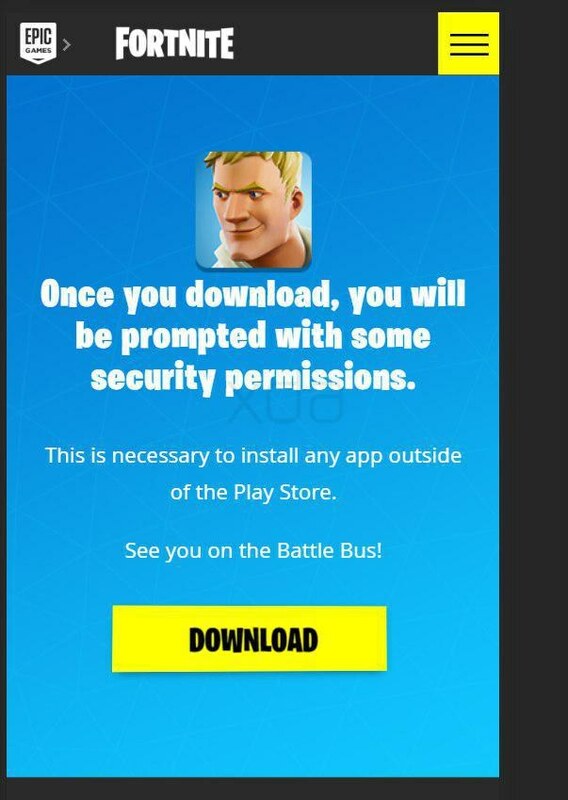 Epic's Android instructions reportedly tell users that they will be "prompted with some security permissions," which it calls "necessary" for the user to install apps outside of the Play Store. Encouraging users to "sideload" content from outside of the Play Store does carry a certain amount of risk. This sort of content isn't policed by Google, meaning less tech-savvy users could accidentally download harmful software to their device without realizing it. At any rate, it should be noted that this information has not been confirmed by Epic yet. We've reached out to the company for comment, but until we get a reply, it may be wise to take XDA's report with a grain of salt. If Google is taking that much from every app sale the money most certainly is not being used to curate the play store. It's still pretty much the wild west in there. Roman Architect, EndRessentiment and Reehahs like this. On the one hand circumventing the app store is kind of dubious but on the other hand 30% is way too much for google to be taking. Roman Architect and EndRessentiment like this. 30% is standard (has been since the stores opened). Apple also has the same cut last I checked. I don't agree with such a steep cut either, but they're hosting the apps (not that you have much of a choice with Apple). I really don't think that's a fair standard. eBay provides a marketplace for physical and digital goods and they charge between 5 and 12%. Really the reason Apple and Google can get away with fees like that is because they also control the platform. eBay also controls the platform to an extent. They have even less of a justification to be charging 5-12% given that it is physical goods they are dealing with, not conveniently multiplying software. Circumvent the entire game, it's garbage. "Encouraging users to "sideload" content from outside of the Play Store does carry a certain amount of risk. This sort of content isn't policed by Google, meaning less tech-savvy users could accidentally download harmful software to their device without realizing it." It is my understanding that this is so even from the Play Store. There is no security in the Play Store. It is the users responsibility regardless of where the app comes from. I don't understand why they didn't do this for iOS. Apple's platform also takes 30% for all purchases on their apps. Perhaps Apple just has stronger policies against this? As far as I can tell, sideloading content on an iOS device isn't as easy as it is on Android. Apple has a pretty tight grip on their platform.